Hawaii is a popular spring break destination for people around the world, but knowing when the local colleges and universities let their students out for vacation can help you plan your trip to this island state. Whether you're planning a trip to Hawaii and want to check when the locals will be out in full force (to avoid or be part the crowd) or you go to college in Hawaii and want to find out your own vacation dates, be prepared for the spring break rush by checking out the academic calendars for each school in the state. 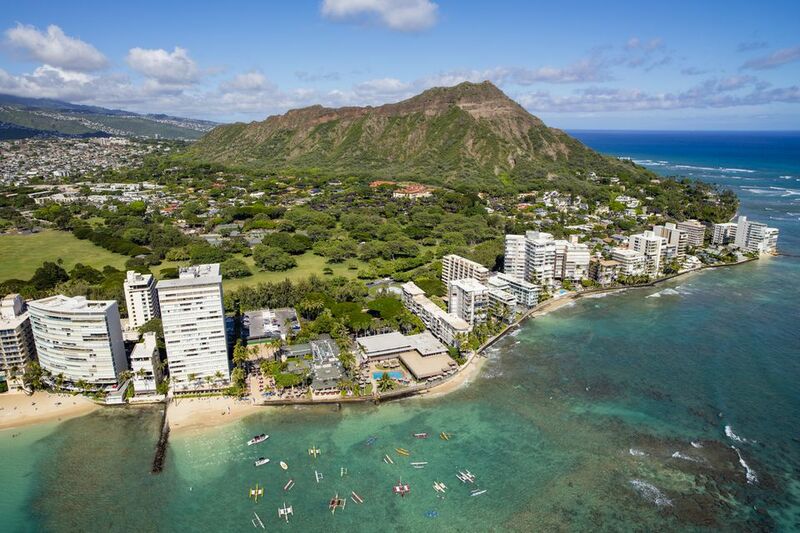 In 2019, the majority of Hawaii colleges have spring break throughout March, much like most other places in the United States, but some colleges don't have a traditional spring break and instead have a break between winter/spring and summer semesters in late April. Be sure to cross-reference with your college calendars if you're looking for specific dates for a college rather than a ballpark. Dates can and do change, but for the most part, these will be correct. Although all classes are suspended during the dates listed below, some school offices may still be open at these Hawaii colleges and universities. Check the full academic calendar from the registrar's office of each school for more information on other school holidays, office hours of operation, and closures. Note that some universities and colleges do not have a spring break as they operate on a quarterly instead of two-semester schedule. Instead, these universities get smaller breaks more often throughout the year and a short five-day break between each quarter. While you could take the opportunity to save a few bucks on a trip to a cheap spring break destination or splurge on a trip to one of the 10 hottest U.S. spring break destinations, Hawaii has plenty to do on the islands for your vacation. Whether you want to spend the day hiking up one of the active volcanoes on the island, surfing in the beautiful ocean surrounding it, or laying out on the beach, there are tons of free things to do in Hawaii during spring break. In March and April, there are also a number of festivals and annual events that come to the islands to celebrate spring; the Honolulu Festival, the Hawaii Invitational International Music Festival, and the Kona Brewer's Festival all take place in March while the Merrie Monarch Festival takes place in April. No matter where you decide to go for your holiday, remember to stay safe during spring break by planning ahead. Be sure to read up on dangerous parts of cities if you're traveling to a new destination and bring backups of important documents like your identification and passport in case they get lost or stolen.